A breakthrough that will open the doors for incompatible liver transplants so far considered impossible, Indian capital’s first was conducted successfully on a 50-year old man. The patient’s son donated liver for transplant which was received after some sophisticated medical procedures as initially the blood group of donor and receiver mismatched. 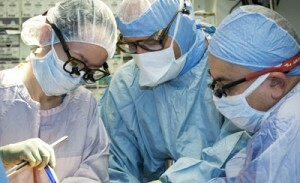 The patient’s diagnosis revealed that he was suffering from severe liver ailment and there was a need for transplant. His 26-year old son agreed to donate his liver but diagnosis revealed that there was a mismatch. It was then that the doctors’ team decided to conduct incompatible liver transplant of the patient. According to the chief surgeon – “We used medicines and controlled the patient’s anti-bodies generation. We also performed blood washing by immune absorption. The immune suppressive medicines stabilized the patient’s body and a surgery was conducted successfully,” he said. The surgery was conducted in November and the patient was discharged with advice to continue with immune suppressive medicines in future. Till date people usually rely only on matching blood groups or cadaver donors (brain dead) for liver transplant. “It becomes difficult when patients do not find a compatible donor. The sophisticated techniques of incompatible liver transplant gives hopes to save many lives,” he said. The hospital claimed that this was the first case of incompatible blood group surgery in liver transplant in Noida city. So far the hospital has conducted 10 liver transplant surgeries in two months. Doctors said that change in lifestyle, excessive use of use of alcohol, and overweight leads to severe liver problem. 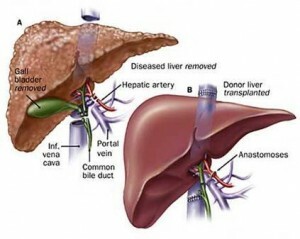 The experts in liver transplant in different city hospitals said that said that due to advancement in technology incompatible liver transplant has become a reality.